Hiring a Caravan or a motorhome. is a great way to work out whether the touring lifestyle is right for you and which layout would best meet your needs, before you make a purchase. If you’re in the market for a new towcar, hiring the type of car you’ve got your eye on might also be a great way to see how it fares when coupled with your outfit. Where do I hire from? You can download our list of hire outlets to find where you can hire a caravan, motorhome or car near you. Click on the PDF you’d like from the downloads list on the right. The hire outlets listed have not been inspected nor approved by The Caravan Club. We can, therefore, give no guarantee regarding the quality of service they offer. Click the link to see where to hire from. If your caravan is off the road for repair and you’re in need of a holiday, or perhaps you’re new to caravanning and want to try the lifestyle before buying your first tourer, renting a caravan could be the perfect solution. The cost of hiring a caravan varies so widely, but there are some helpful price comparison websites available online to give you an idea of some likely charges. Make sure you check before hiring that the caravan can safely be towed by your car. We’ve got plenty of information to help you with outfit matching – find out more. 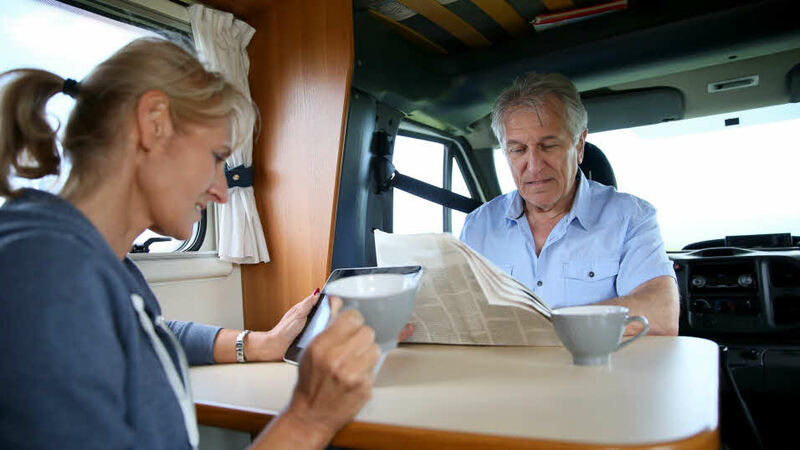 Buying a motorhome – even a second-hand model – is an expensive undertaking, especially if you decide the lifestyle isn’t for you. What’s more, a lot of people rush into the purchase of their first motorhome, only to discover the layout isn’t suitable for their needs. In both cases, a forced sale just a few months after buying is likely to lose them a considerable sum of money. But there is a way to ‘try before you buy.’ Simply hire a motorhome for a week or so to see for yourself if the lifestyle is for you. Some dealer-based hire outfits may even refund part of the cost of the rental if you subsequently decide to buy a motorhome from them. Hire charges start at around £500 per week in low season, but increase significantly during peak holiday season, when many rental outfits focus on inbound overseas customers. The quoted price may or may not include VAT, unlimited mileage, insurance, gas, or a breakdown recovery service, so shop around for the best deal, and read the conditions of hire carefully. Make sure you ask about technical support and provision of replacement vehicles in the event of a breakdown as being stuck with no power in a field in the middle of nowhere is likely to colour your judgement about the motorhoming experience. It could be that your car has broken down and you need something temporary to get you from A to B or maybe you’re thinking about buying a new towcar but want to try out the model before you buy – hiring a car is easy – plus you can get great discounts if you’re a Caravan Club member. Take advantage of being a member of The Caravan Club and check out Enterprise Rent-A-Car’s hiring service. They’ll pick you up from many of our caravan sites across the UK, so if you’re having difficulty with your own vehicle or just need an extra car for your stay, you’ll get hold of one easily as a member of The Club!